Summer in Central Florida is one of the busiest times to visit the Disney Parks and Resorts. And, the Disney World crowd calendar shows that June is a really busy month. 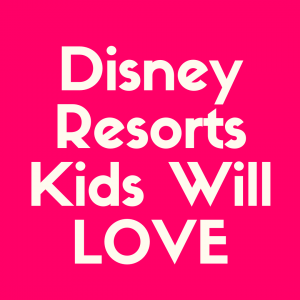 Most U.S. schools are off for summer break, and many other countries have summer holiday that brings them to Disney. Summer in Florida is also a very warm and sunny time to visit. So, between the weather and large crowds, you’ll want to plan to dress for warm weather to help you stay cool while you’re on your magical vacation at the happiest place on earth. 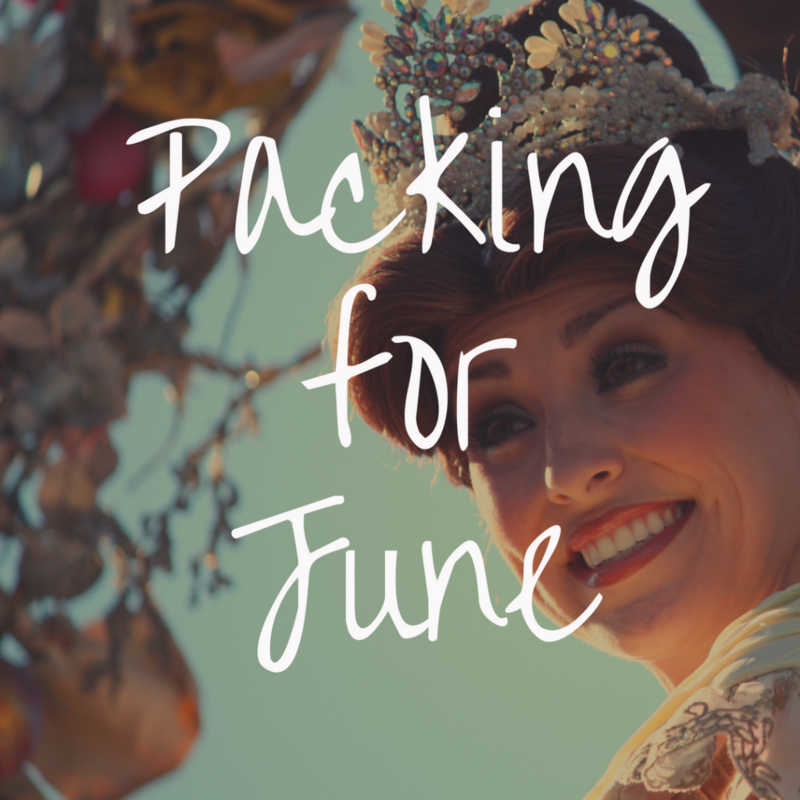 Here are some of our best tips to help you plan what to pack for visiting Disney World in June. June is one of the warmest months of the year in Central Florida. Average temperatures are typically in the low-90’s degrees Fahrenheit during the day and in the mid-70’s in the mornings and evenings. Humidity is fairly high. And because of the humidity and high temperatures, you can expect an afternoon thunderstorm to be a regular occurrence on your Disney trip. This means that you’ll want to plan to pack clothes that help keep you cool during a hot day in the theme parks. And, you’ll want to look for clothes that aren’t too bulky, in case you get stuck in an afternoon rain shower. Luckily, most thunderstorms are usually short, and last only about an hour or two in the afternoons in the summertime. Hurricane season does start in June. It’s not common, but it’s always possible for hurricanes any time there’s warm weather and high humidity. One of our best Disney World tips is to pack clothes that can be worn in layers. This goes for any time of year. And, believe it or not, it’s actually really helpful during the hottest times of the year in Disney. That’s because air conditioning in Florida during the summer is usually on full blast — meaning you’ll be really hot outside and then enter freezing cold temperatures inside. We always recommend packing a long sleeve shirt, cardigan, or sweatshirt that can be easily put on and removed throughout the day. We find that the table service restaurants at Disney World can be particularly chilly. 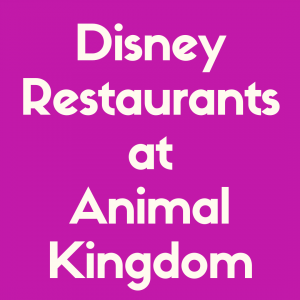 This is helpful to know if you’re on the Disney Dining Plan and planning on eating at several table service or signature dining locations. Overall, you’ll want to plan to bring shorts, capris, skirts, summer dresses, tank tops, and t-shirts for the trip, along with a few basics that can be worn in layers too. We also recommend bringing extra clothes too, if you do not have access to laundry facilities on your trip. This way you won’t run out of clothes that might get wet from water rides or dirty from a long day in the parks. Sandals are probably the most popular shoe to pack when traveling to Disney in the summertime. Make sure any pairs that you pack are comfortable and supportive for walking in the parks. If you bring flip flops or other sandals, be sure to use them only for short periods of walking or at the swimming pool. Your best bet for shoes is to bring several pairs of good tennis shoes or sneakers that are built for walking or running and will keep your feet comfortable. Don’t forget to break in any shoes before your trip. This way you don’t end up with blisters or other foot pain. If you’re worried about having heavy socks, invest in several pairs of moisture-wicking running or walking socks. They will help keep your feet cooler and avoid any extra sweat. The #1 thing people want to pack for a trip to Disney in the summer is swimwear. Be sure to pack several bathing suits or swimwear for everyone in your family. This is definitely important if you’re planning to get a lot of pool time in, or if you’re going to a Disney water park, like Blizzard Beach or Typhoon Lagoon. If you have kiddos with you, be sure to bring swim diapers, and other swim gear like water shoes too. June is one of the hottest months of the year. So, bringing a jacket is probably not going to be necessary. If you do bring a jacket, pack a light one for cooler evenings. But, it’s so warm in June that chances are you’ll never need to wear one. With this in mind, here are some other non-clothing accessories you’ll want to pack when you visit in June. Ponchos and Umbrellas: If you have space, consider bringing ponchos or a small umbrella with you if the weather is predicting a lot of rain on your trip. Of course, even if you don’t have space for these, you can easily pick up ponchos in the parks themselves, at your resort, or a local store too. June has frequent afternoon thunderstorms. But, they don’t last long. If you get stuck in a major thunderstorm, you may be better off buying a poncho or umbrella in the theme parks. Sunscreen: Of course, you can’t forget sunscreen. Having sunscreen on hand for your trip is a must-do. June is extremely hot and sunny, so pack plenty of sunscreen for the whole family. Look for waterproof and sweat resistant sunscreen too, which helps a lot in the hot weather. If you need to, you can buy sunscreen cheaply near Disney World, if you have a rental car. And, in a pinch, you can buy it at the Disney Parks and Resorts too. If you’re visiting with children and young adults, you’ll want to think about a few other additional considerations when it comes to packing the essentials — especially with the summer heat. 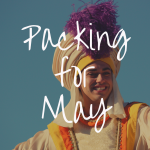 Here are some things you’ll want to think about packing for kiddos and teenagers that include a few particular considerations for June park touring. Disney themed clothes: Kids love wearing their favorite Disney themed clothes when they’re at Disney. Let them pick out some of their favorites, so they have something fun to wear every single day you’re on vacation. Since June is so warm, be sure to bring lots of shorts, t-shirts, and other clothes to keep them cool and stylish on vacation. 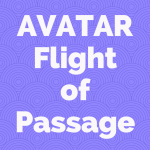 Costumes: Many children want to dress like their favorite Disney princess, prince, or pirate. With this in mind, be sure to pack a costume or two for the trip, if your kiddos like wearing costumes. If you can, look for costumes that are lightweight and won’t be too uncomfortable in the parks, if you plan on being out all day. Deodorant, Face Wash, and Personal Care Items: You’ll want to make sure that your young adults bring the personal care items that they need. This includes deodorant, face wash (especially for those suffering from acne), and even feminine hygiene products. This way they’ll feel comfortable having all the things they need without having to run to a store during the trip. June is really warm, so be sure that your teens have all the extra toiletries they need (like deodorant), to keep them comfortable, cool, and feeling good throughout your trip. June can be a great time to visit Disney World. It’s ideal if summer vacation is the only time you can travel with work and school time off. 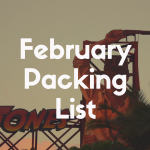 Though June is a hot month, packing lots of swim gear, sandals, and clothes to keep you cool will help you tour the parks comfortably on your vacation. 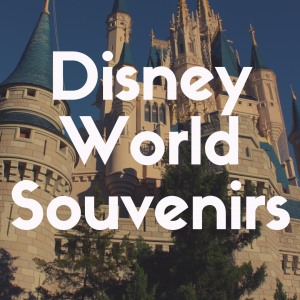 Having comfortable and cool clothes along with a few of the travel accessories we mentioned here are the perfect way to enjoy Disney during the warmest months of the year.